Has that voter-approved sales tax hike paid off? 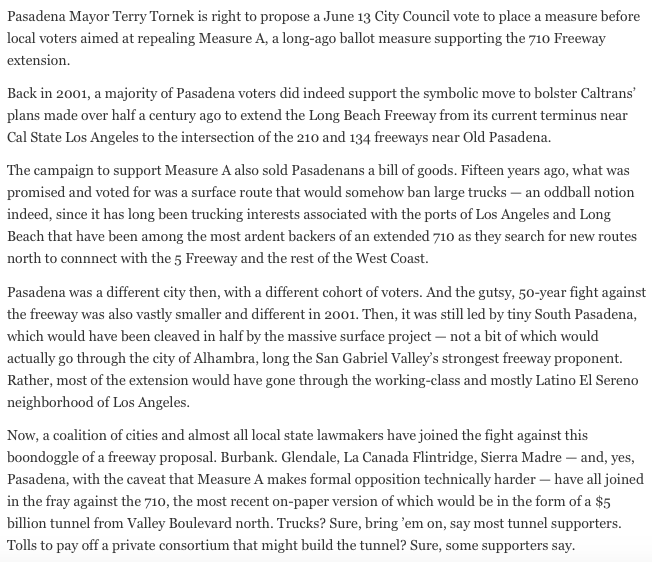 In 2008, Metro's Measure R ballot initiative got just above the two-thirds support it needed from voters to institute a half-cent sales tax increase that would pay for future projects. Many of those projects have now been completed, and, fresh off the unveiling of its new Expo Line Extension to Santa Monica, Metro will be asking voters for another sales tax bump this November.f. In advance of the election, Metro released a "quality of life" report Tuesday (via the Source) that shows how Measure R has affected the lives of Angelenos—with the help of pretty charts and data tables, of course. Not surprisingly, the report is filled with some pretty flattering statistics (rider satisfaction is up five percent! ), along with a few data points that seem hard to link solely to Metro (clean buses alone probably don't account for an 8 percent drop in LA County CO2 emissions). There's also a somewhat silly section that argues "riding Metro is quicker than driving during worst case peak period conditions." Of course, the time estimates only include the duration of the ride plus a few minutes of wait time, so that's probably only true if you live at a train station. Fortunately, one very significant result of Measure R is that nearly a quarter of LA County residents now live close to a rail, express bus, or Metrolink stop. The 31 new stations added since 2008 have the potential to serve just under a half million customers. The transit agency is offering new options to plenty of commuters in these areas, with 40 percent of LA jobs now accessible to Metro stations. Metro also acknowledges that ridership has dipped on both trains and buses over the past few years, though the agency is quick to point out that this seems to be part of a national trend. Another intriguing statistic: since 2008, riders report feeling more safe on buses and at bus stops, but less safe on trains and at train stations. It's not clear what's driving this disparity, but it's certainly something Metro will want to address as rail ridership increases and bus ridership goes down. A file photo shows the opening of of the Expo Line rail extension to Santa Monica last month. The Metro board is considering a proposal similar to Measure R, which helped fund the rail line. In the next few weeks, the board that runs mass transportation in Los Angeles County is expected to give voters the list of proposed new transit projects to approve or reject in a November ballot measure. If it’s not careful, the board will also give voters something else — a good reason to distrust the whole, $120 billion plan. Persuading Southern Californians to raise sales taxes to pay for infrastructure improvements is no sure thing under any circumstances. It’s especially hard when a measure needs two-thirds approval to pass, as this initiative to extend the Measure R tax hikes would. Measure R barely cleared the 66.7 percent threshold in 2008, and the followup Measure J fell short in 2012. Selling taxpayers would be even harder if they couldn’t be sure exactly what they’d be getting for their money. The original Measure R included guarantees that the listed transportation projects wouldn’t be whimsically changed by the board after the initiative was approved. No money would be siphoned off by the federal or state government or for non-transit spending. But as the L.A. County Metropolitan Transportation Authority prepares to unveil the new initiative colloquially called Measure R2, the Metro board hasn’t indicated it will include such lock-in language. This alone raises fear of a bait-and-switch, fear that voters could OK an official list of projects in November and then see Metro make changes. 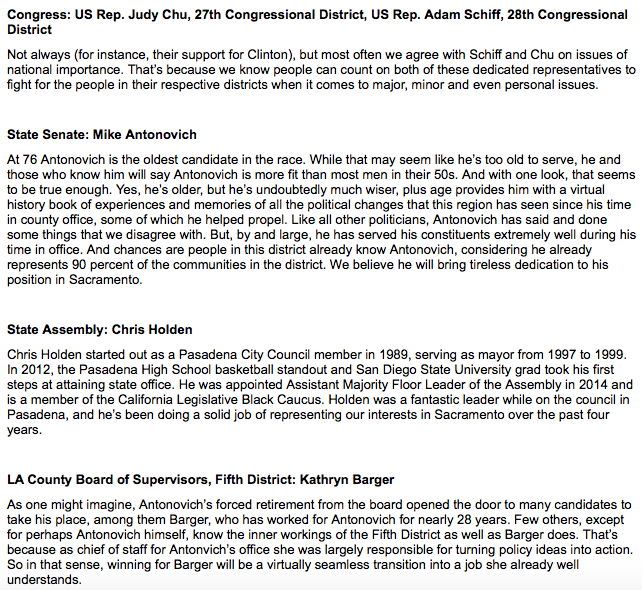 The fear is heightened by something that’s happening separately in Sacramento. Sen. Tony Mendoza, D-Cerritos, unhappy that a first draft of R2 didn’t give his district a major transit project for at least another two decades, wants to overhaul the Los Angeles-centric Metro board by increasing representation for other cities. The possibility of a measure without guarantees combined with a Metro board with shifting priorities is worrisome. 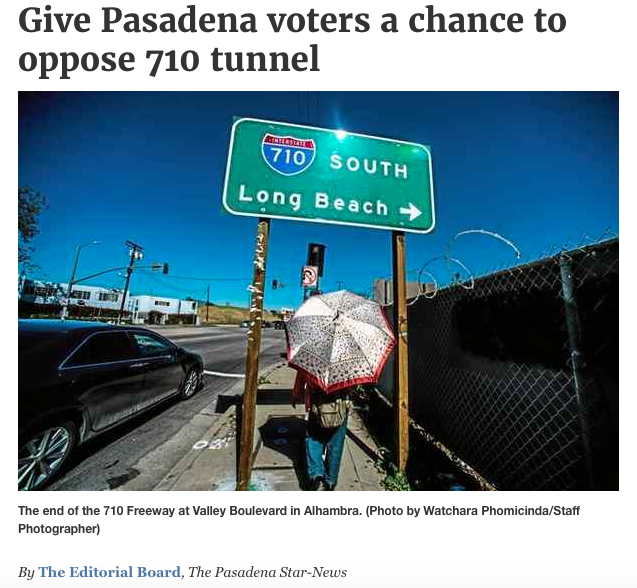 The editorial board spoke with state Sen. Bob Hertzberg, D-Van Nuys, and Richard Katz, the former assemblyman and Metro board member, who are among the politicians fighting for the San Fernando Valley to get its fair share of new transit projects. They said that even if the project list does right by their part of the county, a lack of guarantees would make them hesitant to support R2. “I think it makes it hard to campaign for the measure if you can’t look a voter in the eye and say, ‘The list is the list,’” Katz said. If Metro wants voters’ support, it needs to ensure they know what they’d get for their money.